Toronto's top health official issued an extreme cold weather warning Thursday as temperatures took a steep dive. Environment Canada forecast a high of –6 C for the day, though it felt more like –15 throughout the warmest part of the afternoon. Temperatures are expected to drop precipitously overnight, with a low of –15 C holding into Friday morning. It will feel more like –24, however. It will warm up slightly heading into the weekend, though sub-zero temperatures will last throughout most of next week, according to the federal weather agency. 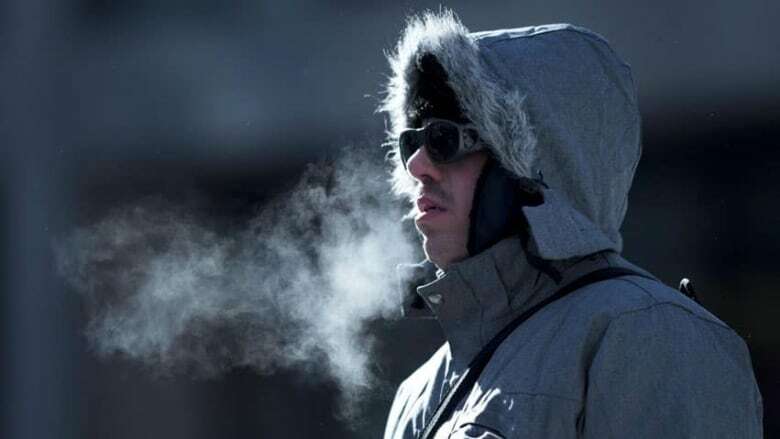 Dr. Eileen de Villa, Toronto's medical officer of health, warned anyone planning to be outside on Thursday and Friday to be prepared for considerable cold. "Those most at risk of cold-related illness are people experiencing homelessness or those under-housed, those who work outdoors, people with a pre-existing heart condition or respiratory illness, elderly people, infants and young children," she said in a statement. A warming centre would open by 7 p.m. at Metro Hall, de Villa added.